MED Clean South provide cleaning support services for both the large and small warehouse or factory units and adjoining offices. We can supply one cleaning operative for a couple of hours per day or multiple operatives for the larger site and if required daytime or weekend service to ensure that your building is kept safe and clean. 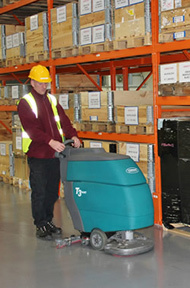 We have a number of clients with large warehousing facilities and are able to tailor their requirements both in supplying mechanical cleaning aids to facilitate the larger areas that require cleaning , together with a highly trained and motivated workforce we are able to ensure they are happy with the result. If required are staff are CRB reference checked and fully insured whilst working on your premises.